'The classic evolves' says it all. The Doon was designed to take the classic styling of the beach buggy and create a more modern alternative. The design centres around using techniques which add strength without adding weight. With fibreglass this is achieved by introducing design elements such as curves, steps and changes in direction. These elements are found on the Doon design in abundance with stepped front and rear arches, curved bonnet, curved rear end, curved front, rain lip and styling lines through the bonnet into the dashboard panel. In addition core matting is added in key larger area such as the bonnet and sides of the main tub to add extra strength with little weight and help avoid any sagging or distortion of the larger panels. 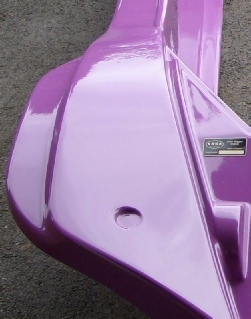 The Doon uses recessed flat areas in the front wings for fixing headlights is preference to traditional buggy headlight mounting ‘stalks’, to remove the common problem of cracking and flex in this area. 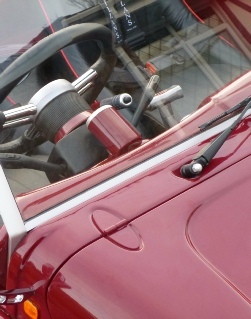 In addition there are specific recessed mouldings on the kit to house the wiper motor assembly, bonnet hinges and front badge. The interior space has been widened to allow for modern seating options to be used. 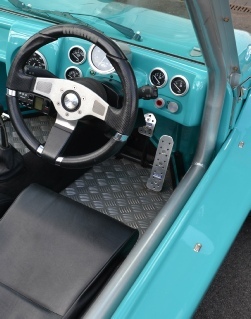 On the dashboard, the speedo and switch gear sits in purposely designed recessed areas to help comply with IVA requirements and the dash moulding design allows for roll cages to fit flush against the front screen to improve strength.